In 2016, I am continuing to let random.org choose a book from my TBR list, to be read sometime during the month. I picked my random book a few days ago and lost the post-it with the exact random number and number of books that were on my TBR list at the time (it is since larger, of course). But I do, in fact, remember that I am supposed to be reading the following book. I also remember that a fellow middle school teacher who liked Ready Player One and is into gaming recommended it to me and my 14 year-old son. An American hacker in King Arthur’s court, Martin must now train to become a full-fledged master of his powers, discover the truth behind the ancient wizard Merlin… and not, y’know, die or anything. 2016 Horror Reading Challenge goal of 16+ books: One this month, 20 total – CHALLENGE COMPLETED! In 2016, I am continuing to let random.org choose a book from my TBR list, to be read sometime during the month. My randomly generated number for November is 460 (out of 480 in my TBR list). SURPRISE!, I will be reading Dead Man’s Song by Jonathan Maberry. This is an adult title and is book two in the Pine Deep trilogy, and I really enjoyed listening to the audiobook of the first book, so I plan to do that with this one, too. It would have been a great one for October, but I love horror any time. Once an idyllic Pennsylvania village, Pine Deep awoke one morning to find itself bathed in a massive bloodletting. Twice in thirty years the townsfolk have endured the savage hungers of a murderous madman…but if the residents think the death of serial killer Karl Ruger put an end to the carnage, they’re dead wrong. 2016 Horror Reading Challenge goal of 16+ books: Three this month, 19 total – CHALLENGE COMPLETED! In 2016, I am continuing to let random.org choose a book from my TBR list, to be read sometime during the month. My randomly generated number for October is 9 (out of 453 in my TBR list). SURPRISE!, I will be reading Defending Jacob by William Landay. This has been on my TBR list for so long that I don’t even remember what prompted me to add it. But it sounds great so I am glad I kept it there…. Every parental instinct Andy has rallies to protect his boy. Jacob insists that he is innocent, and Andy believes him. Andy must. He’s his father. But as damning facts and shocking revelations surface, as a marriage threatens to crumble and the trial intensifies, as the crisis reveals how little a father knows about his son, Andy will face a trial of his own–between loyalty and justice, between truth and allegation, between a past he’s tried to bury and a future he cannot conceive. 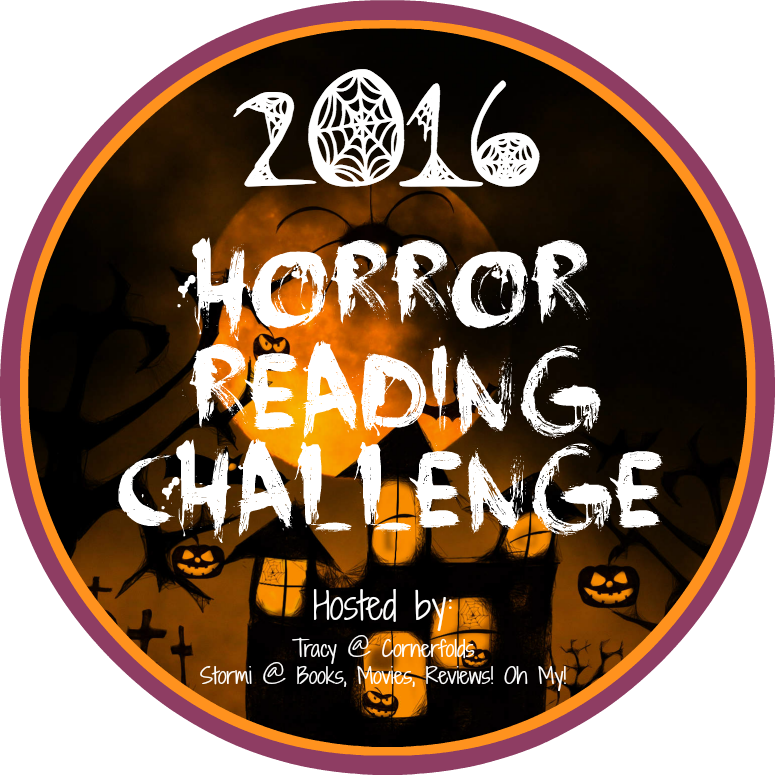 2016 Horror Reading Challenge goal of 16+ books: Zero this month, 16 total CHALLENGE COMPLETED!